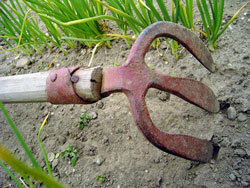 Welcome to our February Gardening Tips! February already! Did January do a high-speed fly-by, or was it just us? We’ve certainly been kept busy with all of your questions, conversations and orders and for that we are greatly thankful. 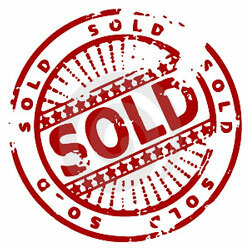 A most warm welcome to all of our new customers and subscribers that have joined us recently! If you are on Facebook, please visit our page, like us and say hi! We find Facebook to be a great way to share some of the things we find interesting that we just don’t have room for in the Newsletter. Come join us there! We share another of our favorite recipes with you, this time a homemade chile sauce that has a world of flavor. 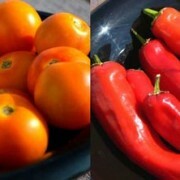 Look for some growing tips on peppers, both hot and sweet in the mid-month edition. You might think its a bit early to be thinking of chiles or peppers in February, but its actually the perfect time! A new recipe will get the thoughts turning of what would go great with it, then the planning for where the new varieties takes over and you get to make it happen. That same recipe later on in the year won’t give you the chance to grow them yourself! Speaking of recipes, we’ve been busy with our Recipes on the Heirloom Seeds Blog. We have started segmenting the recipes by their ingredients that we offer, so now you can click on the ingredient and see recipes that use it. It is a work in progress, as our list of recipes is long and will be steadily added. If you have a recipe that is a family favorite and want to share, please email it to us. We’ll post it with your first name and state, along with any information or history you want to include! There is a lot of great information this edition, so let’s get to it! This makes a sauce that is 95% of her Mole, but I prefer to make a very large batch as it is a project to do and doubling of the recipe doesn’t take much more time to make. Then you have this cache of amazing flavor that spices up any dish with no extra time but lets all of the flavor and work shine through. It is a wonderful basis for enchiladas, nachos, stews, soups, sloppy Joe’s, burritos or even spooned over eggs in the morning. I like to add about half tomato sauce by volume to make a great sauce that is smooth and mellow with the taste of the chiles but none of the bite. 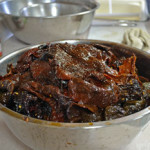 Read Homemade Chile Coloradito Sauce for the recipe followed by photos showing the entire process. The newest article we’ve written on starting seeds is a more detailed look at what seeds need for germination, how the natural ecosystems nurture seeds into seedlings and how we can learn from that system and work to duplicate it for better success in our efforts. Several factors affecting the germination rates are shown, and how to avoid some common but misunderstood mistakes that gardeners often make in the germination to seedling transformation. We go through the process of germination from when the seed is planted in the soil to when it develops it first true leaves, discussing the internal changes that take place. The critical relationships between the soil, seed and temperature vs moisture levels are examined, along with how and why those levels change as the seedling develops. Read Starting Seeds at Home – a Deeper Look for all of the details. Lots of you are doing some serious planning on your garden this year, looking forward to when the weather is nice and warm enough to start planting what you’ve been day dreaming about. We’ve written a couple of articles on planning, but we wanted to show you some varieties that will do extremely well in the early spring garden. These will all tolerate light frosts and the cooler, unpredictable weather that is the early spring season. The only real limiting factor for direct seeding is the soil temperature of 50 – 55F, needed to start germination. This limitation can be minimized by starting the seeds inside and transplanting them outside when they are 3 – 4 inches tall. This technique has been used for several hundred years by the French, perfected in Paris by small scale growers and known as the “French Intensive Method”. They would sprout almost all of the vegetable seedlings and transplant them into 2 ft deep beds of horse manure and straw. As the manure decomposed it created warmth, heating the seedlings while providing nutrition for their growth. Use the First and Last Frost Dates planner to see when you can start planting outside, and when starting and transplanting early season vegetables makes sense. The best way to maximize the germination in the shortest time is a heat mat under the seedling tray. For the optimal soil germination temperatures see our Seed Germination Guide. Once the seedlings are up, reduce the moisture and temperature for strong growth. You can get a couple of week head-start when transplanting outside with floating row covers or small hoop houses that provide added protection during the night and help heat the soil and retain moisture during the day, acting similar to the glass covers over a manure bed that the French used. For a more in-depth look at starting seeds inside see our article in this issue! –Beets – direct sow under cover – 50F soil temperature. 35 days for green tops, 50 days mature. –Broccoli – transplant from seedlings. 60 days from transplanting. –Cabbage – transplant from seedlings. 60 days from transplanting. 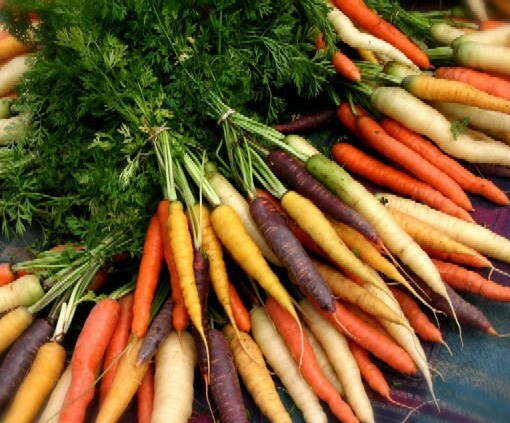 –Carrots – direct sow under cover – 50F soil temperature. 50 – 60 days from direct sowing. –Greens Mix – direct sow under cover – 50F soil temperature. 25 days baby, may be cut again. –Lettuce and lettuce mixes – transplant from seedlings. 30 days from transplanting, 60 days from direct sowing. 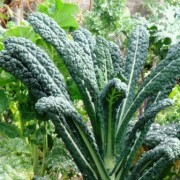 –Mustard Greens – direct sow under cover – 50F soil temperature. 21 days for baby greens, or 45 days mature, may be cut again. –Cabbage – transplant from seedlings. 50 days from transplanting or 70 days from direct sowing. –Peas, Snow Peas, Snap Peas – direct sow under cover with a trellis – 45F soil temperature. 60 – 70 days from direct sowing. –Radish – direct sow under cover – 50F soil temperature. 25 – 30 days from direct sowing. –Scallions – direct sow under cover – 50 – 60F soil temperature. 65 days from direct sowing. –Spinach – direct sow under cover – 50F soil temperature. 30 days for baby spinach, 45 days mature. May be cut again for additional harvests. This is shaping up to be a great year for education and information for us at Terroir Seeds! After our February 8th keynote presentation at the Missouri Organic Association, we will be discussing the issues of Glyphosate or Roundup and the implications of GMOs on the Easy Organic Gardener Radio Show. We are very honored to be on the show, as there are a number of highly respected people who have appeared, giving their knowledge and advice. In fact, just the week before our first show Janisse Ray will be a guest, someone we have admired for years and have done a book review of her newest writing. The show is hosted by Sheri Frey, owner of Arbico Organics, a supplier of beneficial insects and organisms, fertilizers and soil amendments, weed and disease controls, composting supplies and more. Visit the Easy Organic Gardener Radio Show for our shows, and to hear past episodes. You can listen in right on the page. The topic we will be presenting and discussing explores the implications and relationships of Genetically Modified seeds and Roundup (glyphosate) to the health of people, animals, soil and waterways. Because of the amount of information presented this will be a two part show. The first segment airs live on Sunday, February 24 at 11:00 AM Central Time. The show is an hour long with some breaks. The focus will be examining the life-cycle of glyphosate in the soil, how it chelates minerals and nutrients needed for life, and its effects on the life-cycles in waterways it contaminates. We will explore ways to tie up glyphosate in the soil through mineralization and soil building techniques. The second segment is the next week, Sunday, March 3 at 11:00 AM Central Time. The second part shows how GMOs have been developed to be glyphosate tolerant, able to absorb the poison without dying. They then pass this glyphosate up the food chain, creating a multitude of chronic and acute health concerns in domestic animals as well as people. Talk of gardening during the early Spring time often centers around planning what vegetables should be grown for this year, or the arrangement and population of the flower garden. One is concerned with food and producing enough for later and the other is very aware of beauty, scents and the effects they have on us. What many of us miss is that a number of flowers are also edible in addition to their other qualities. We want to introduce you to 4 beautiful, beneficial and very tasty edible flowers that will fit right in with whatever type of garden you are dreaming up for this year. All of them are easy and simple to grow. Every part of the Nasturtium is edible, from the leaves and pods to the roots. The flowers are mildly spicy in a peppery sort of way with colors ranging from deeper reds through pale yellows. The scent released by the flowers is a sweet-spicy aroma that works well as a chopped addition to fresh goat’s cheese or herbed butter. The pods can be pickled and used in place of capers for that distinctive flavor. 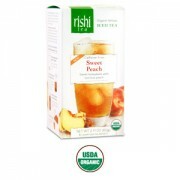 Many chefs are turning to these for their flavor and locally sourced popularity. You can try some with our Pickled Nasturtium Pods recipe! Borage is almost unknown to most American gardeners, but is treasured as a seasonal pasta filling in Italy and is used all across the Mediterranean in fresh cooking. The blossoms are sweet and herbaceous, while the leaves and stems have a cucumber-like scent and flavor. The leaves are mineral rich and used as a cooling element in drinks and dips. The powder-blue flowers are the traditional garnish for the classic Pimm’s cup beverage. French marigolds are an old standby in the garden to repel insects and nematods, often planted next to tomatoes. The flowers are a beautiful mahogony red trimmed with a thin line of bright yellow and taste like a blend of terragon and radicchio. Use the petals in a salad in place of more traditional bitter greens to liven both the color and flavor up, or sprinkle the loose leaves over freshly grilled fish or lamb. They are often used as organic orange dyes, and fed to chickens to increase the nutrition and color of the yolks. They will also give rice dishes a distinctive color and flavor, much like saffron does. Amaranths are an amazing plant with colorful and showy displays of flowers and strands of seeds. The seeds are edible on some varieties like “Love-lies-bleeding” and make great food for chickens and other birds. The smaller textured petals of the flowers taste much like sweet corn and add bright splashes of color to eggs or smoothies. Give a couple of these multi-purpose beauties a try and see what you can create with their colors and flavors!